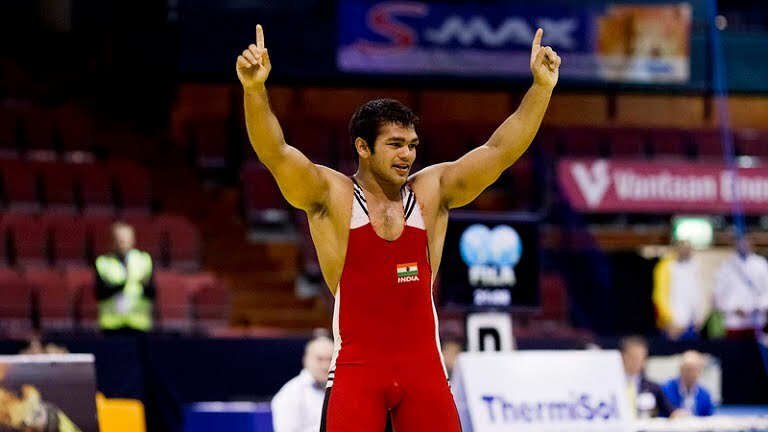 Narsingh Yadav’s full name is narsingh pancham yadav is an Indian wrestler.He recently was in the news for a doping issue. He has been banned by Rio Olympics court of arbitration for sport after the anti doping agency had appealed against the national anti doping agency. He was tested positive for anabolic steroids. He had won gold in 2010 common wealth games. If ascendant or lagna Lord( cancer sign or karkat rashi) is in third house or shaurya bhava in the sign of Virgo or kanya rashi- and is ruled by moon(Chandra). This explains his forward and backward movement pattern like the sign cancer or karkat rashi in the doping case he was embroiled in(NADA). That is first he was convicted and then let off by the Indian anti doping agency, then once again the rio court refused to let narsingh yadav wrestle(WADA). His house of action or karma bhava is ruled by strong mars placed in second house of wealth and status. So mars clearly indicates his career would be in sports like wrestling & yes he could make a career in police or army. Mars or mangal being very strong suggest a good muscled and strong body which he has. The planet mars or mangal ruling his career shares energy with the secretive ketu and is also on the rahu-ketu axis- this clearly suggests that narsingh could have secret attacks or contraction or dismissal in career(caused by the malefic ketu).The case of mixing his food with some doping agent is a clear indication that ketu has played its role could turn the tables around for him any time. His lord of providence and luck Jupiter or guru is in twelfth house and in Gemini sign( mithuna rashi) – suggest his luck might not favor his very well. Also he might take up sanyasa later in life and be a wandering monk. A strong mercury could also bring him to politics or public life in some form of public life( like coaching). In August 2016 the ketu the key mischief maker for narsingh yadav is in Aquarius sign or kumbha rashi in transit- his eight houses of obstacles and troubles caused suddenly. This is exactly what has happened for him. Also note he is born on 6th day of the month ruled by planet venus (shukra) and august is ruled by Leo or simha rashi , number 1- which is totally against his venus the birth number- that is his personal wishes and desires. So he had a fall here despite being born in august. So august is a naturally weak month for him. His lord of divine providence and luck Jupiter or guru is very weak in house of initiatives in transit ( in Infancy). Mars the planet of his career is weak in Scorpio sign or vrishchika rashi at around 5 degrees in month starting and comes closer to share the malefic energy of Saturn (shani dev) the enemy of mars(mangal). As Saturn(shani) rules his house of obstacles and trouble- this destabilizes his career severely. So basically planet ketu and Saturn play a strong role based on is surya kundli to destabilize him . His band was imposed on 18th august when moon transit into Aquarius in his eight house and gets conjunct with the natal ketu the mischief maker for narsingh yadav. We at astrozing.com wish him all the best in Life.